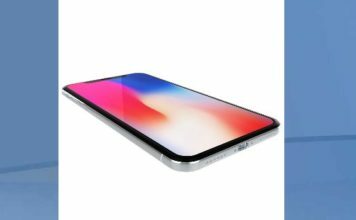 NEW YORK (AP) Apple is offering a nifty way to unlock its new iPhone X – just stare at it. Face ID, Apple’s name for its facial-recognition technology, replaces the fingerprint sensor found on other models. How well does it work – not just technically, but in everyday use? After all, it’s much easier to align your finger with the sensor than to align your face with the phone. 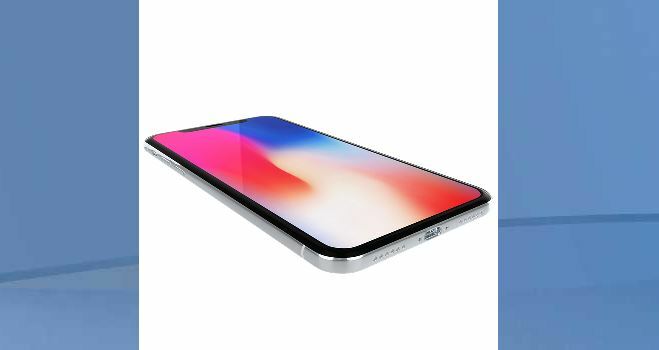 The iPhone X costs about $1,000 – $300 more than the iPhone 8. Advance orders began this past Friday, and Apple is now giving delivery times of five to six weeks. Apple says it will have limited supplies at stores for same-day pickup on Friday, but you’ll have to get there early. Many rival Android phones already use facial-recognition technology. Samsung also has an unlock feature that scans your iris. But the systems can be tripped with something as simple as eyeglasses. While Android largely bases its match on a two-dimensional camera shot of you, the iPhone X goes 3-D. During setup, the iPhone guides you to rotate your head so it gets a more complete picture of you – analyzing some 30,000 points on your face, to be specific. So if you’re wearing glasses, the iPhone can still recognize you using other parts of your face. Same goes for wearing a hat. And Apple’s system continually learns. Each time you use your face to unlock the phone, it automatically keeps tabs on small changes, such as growing a mustache or simply getting older. With Android, you have to go into the settings to teach the phone’s face recognition to get better. There are limits. If you shave your beard, it’s too big of a change for the iPhone X to be sure it’s you. You’ll need a passcode, but the phone should remember you the next time. I tested the iPhone X against Samsung’s iris scanner on the Galaxy Note 8 and face systems on Google’s Pixel 2 and LG’s V30 phones. V30 improves upon the standard Android technology in asking you to turn your head slightly during the setup, though in practice the Pixel was far better at recognition. Only the iPhone and the Pixel recognized me with standard eyeglasses – important, as I expect the same performance with or without spectacles. That said, Face ID unlocked with just one of the two sunglasses I tried; the other was too big. Costumes and disguises also challenged Face ID. A Santa hat was OK, but a Santa beard wasn’t. Nor did it like funny glasses and a fake nose. Winter clothing was fine, as long as the scarf wasn’t covering too much of my face. Face ID worked better than expected in bright sunlight – not every time, but enough to be satisfying. It also worked in the dark, thanks to the use of infrared sensors rather than just the standard camera. That’s important when you wake up in the middle of the night and must absolutely check Facebook or Tinder. For those keeping score, the Pixel worked in sunlight, but not in the dark; it’s the reverse for Samsung. Samsung also worked with the Santa beard, as it’s focused on your eyes. The iPhone also unlocked after getting a haircut. I didn’t try to fool the iPhone into unlocking with someone else’s face. I’m sure hackers will spend the coming weeks trying. Apple says Face ID could be unreliable with twins and other siblings who look like you, as well as for children under 13 – though young children don’t really need a $1,000 phone. Give them a $200 iPod Touch – or better yet, a book to read. The home button is gone to increase screen space. Others that have done this have moved the fingerprint scanner to the back. Apple ditches it completely, so Face ID is the only alternative to a passcode. The Olsen twins, among others, will face a hardship. It’s also tougher to check Facebook during a meeting without getting busted by the boss. You can casually unlock a phone with your fingerprint under the table. It’s much more conspicuous to stare at a screen, especially because your face should ideally be 6 to 10 inches (15 to 25 centimeters) away. Besides unlocking the phone, you can use Face ID to confirm app purchases and log into banking apps. You can also confirm Apple Pay transactions. You don’t have to twist your head awkwardly for facial authorization while the phone is laying sideways on a payment terminal, either. With the iPhone X, you authorize Apple Pay before tapping. It was much faster than fingerprint when paying for lunch. Bottom line is Face ID works fairly well – though keeping the fingerprint option would have been nice.